A NURSE believes health bosses are refusing to let him work shifts at Hereford County Hospital because he spoke out about conditions in A&E. Darrell Meekcom spoke out in November 2014 about the conditions at the hospital which he believed were dangerous and chaotic, soon after the hospital was put into special measures. 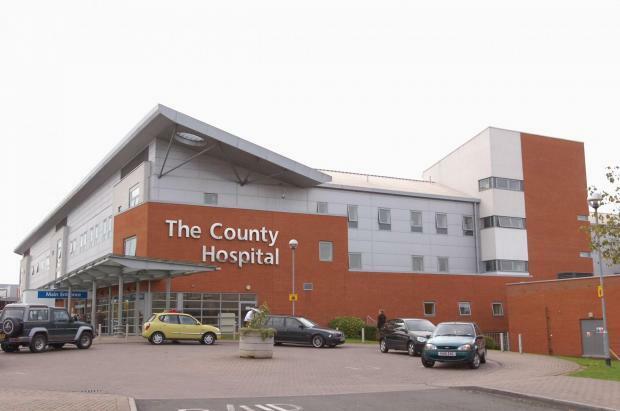 The county hospital has remained in special measures following its latest inspection. Mr Meekcom, who is an agency nurse, said he tried to get a shift at the hospital at the end of January for the first time since he spoke out. He said: “My agency tried to book me into one of three late shifts available on the emergency department at Hereford County Hospital. But the Wye Valley Trust said they no longer require Mr Meekcom’s services and that he is aware of the decision that was made by the trust in 2014, which remains in place. But Mr Meekcom said: “I would love to see anything in writing from 2014 giving any other reason whatsoever. “They did not give me a reason at all. Not one of them would speak to me or tell we why I was banned. “If they had any problem with my practice whatsoever I would have gone to the Nursing and Midwifery Council (NMC). Mr Meekcom, 48, said he is concerned that they do not want him to see the situation at the hospital. Maureen Bignell, people and development director at the trust, said they can confirm the decision not to employ Mr Meekcom does not relate to the concerns he raised while working at the hospital. She said: “We have a whistleblowing policy in place to support staff in raising concerns within the organisation and any member of staff raising a genuine concern will not be penalised or disadvantaged in any way for doing so. “We also promote within the whistleblowing policy, that staff members can also seek independent advice, such as NHS Protect or Public Concern at Work, at any stage if they do not wish to discuss the concern with their employer. “We fully investigate any concerns raised by staff and agency workers appropriately and in line with our whistleblowing policy”. yet another WB being lied to, done out of work – if you were an employer of the hospital – you would now be looking at being either suspended on false allegations of bullying junior staff (this is the HR norm) or dismissed on some trumped up false allegations and there would be witnesses crawling out of the wood work, followed by false allegations (if even you were not on duty – dates would be changed)…..
we have all read enough about incompetent highly paid HR/managers – who remain untouchable whilst destroying lives of caring employees.